Credited as the Genoese navigator who discovered America in 1492 after journeying across the Atlantic Ocean, Christopher Columbus had actually intended to establish a sea trade route to Asia. Little did he know that he had discovered a continent unknown to the western world. 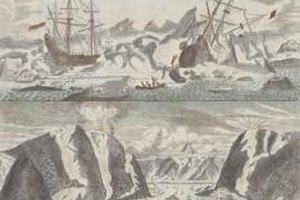 The journals of Columbus meticulously documented his experiences as an explorer, revealing both his fascination with the lands he had found as well as many trials experienced by his crew as they traveled through perilous regions. 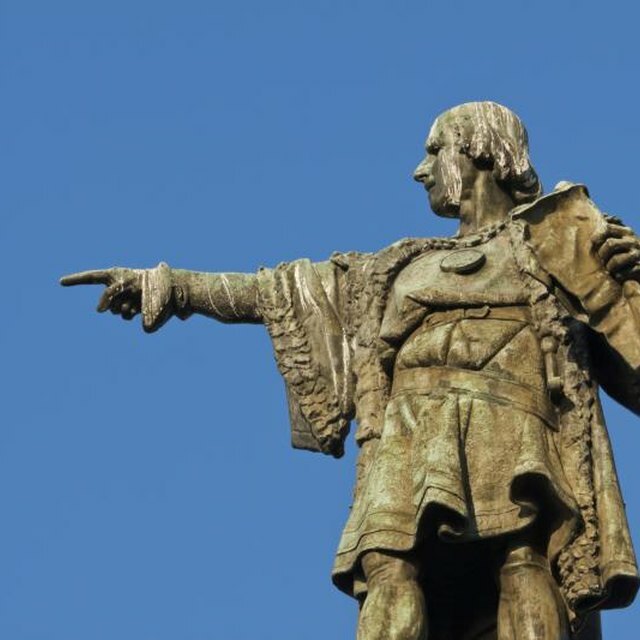 Columbus and his men endured countless hardships as they traveled throughout the Americas. For nine days in December 1502, they were tossed around at sea in storm so intense that many on his crew longed for death to end their suffering. Afterward, Columbus' crew was stranded for a year in Jamaica, after breaching in June of 1503. Even his initial discovery of America was accompanied by tragedy, which included deaths among members of his crew. Before leaving to return to Spain, his ship, the "Santa Maria," ran aground in 1492. Since a sister ship, the "Nina," could not transport the entire crew of the Santa Maria in addition to her own, Columbus "resolved to build a fort, store it with a year's provisions, and leave in it some artificers and as many of the men as desired to stay, with the ship's boat." Little more than a year later, the fort lay in ruins, strewn with corpses of these first New World colonists. Columbus set out on his initial voyage with two significant goals: He would discover a sea trade route to Asia and he would find untold treasure. Despite the fact that he never discovered large amounts of gold, he did return to Europe with other savory treasures, including pineapples, oranges and cocoa. Furthermore, he returned with a handful of natives in tow and a mysterious plant called tobacco. While he had not truly discovered a sea trade route to Asia, he had succeeded in discovering a New World, which increasingly occupied the attention of Europeans. 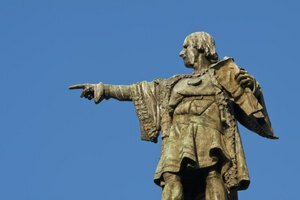 One of the reasons Columbus was permitted to voyage to the Americas more than once is because of the acclaim he enjoyed following his initial discovery of America. He was viewed as noteworthy, despite the fact that he had failed to discover fields of treasure. Throughout the journals of Columbus, the author even refers to himself with esteem, as the "Admiral of the Ocean Sea." Furthermore, Columbus was eyed with awe by indigenous folk of the Americas. For example, when faced with a scarcity of provisions, he applied his knowledge of astronomy to deceive American natives and make them believe he possessed supernatural powers. Aware that an eclipse was imminent, writes Washington Irving in "The Life and Voyages of Christopher Columbus," the Admiral "shut himself up in his cabin, as if to commune with the Deity, and remained there during the increase of the eclipse; the forest and shores all the while resounding with the howlings and supplications of the savages." Once the eclipse had passed, he and his men were granted gifts and provisions by the natives. Not only were vast reserves of gold undiscovered in Columbus' voyages, but the presence of the Spaniards in America grew increasingly more predatory during the decade that he spent traveling to the Americas. Poor teamwork among the Spaniards themselves stymied their collective efforts. Columbus himself hanged members of his crew who disobeyed his orders. Later, he was stuck in Jamaica with his men because the Spanish governor of the nearby island of Hispaniola refused to send aid because of his detestation of Columbus. 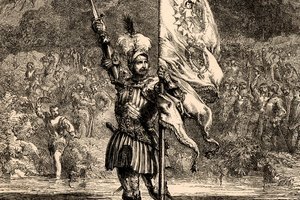 A far worse fate was suffered by American natives, who were forced to supply Spaniards with tributes of gold and cotton and "were given a token to wear around their necks as proof that they had made their payment; those who did not were...'punished'--by having their hands cut off...and left to bleed to death." "Life of Christopher Columbus;" Sir Clements Robert Markham; 1892 (p. 117). "The Life and Voyages of Christopher Columbus;" Washington Irving; 1868 (p. 458). "Christopher Columbus and the Conquest of Paradise;" Kirkpatrick Sale; 2006 (p. 155). James Withers has authored in excess of 200 articles on eHow, expanding on journalistic experience acquired as a commentator for the newspaper of the University of Texas at Arlington. Withers began publishing professionally in 2007. Withers holds a Bachelor of Arts in English from the University of Texas at Arlington. 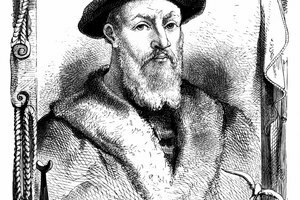 What Are the Four Effects of the Magellan Voyage? Withers, James. "What Were Some of Christopher Columbus' Experiences as an Explorer?" 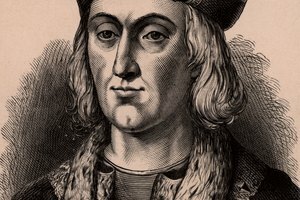 Synonym, https://classroom.synonym.com/were-christopher-columbus-experiences-explorer-8727289.html. Accessed 20 April 2019.